An affordable fun-filled beach break, this tour showcases the most beautiful islands El Nido has to offer. 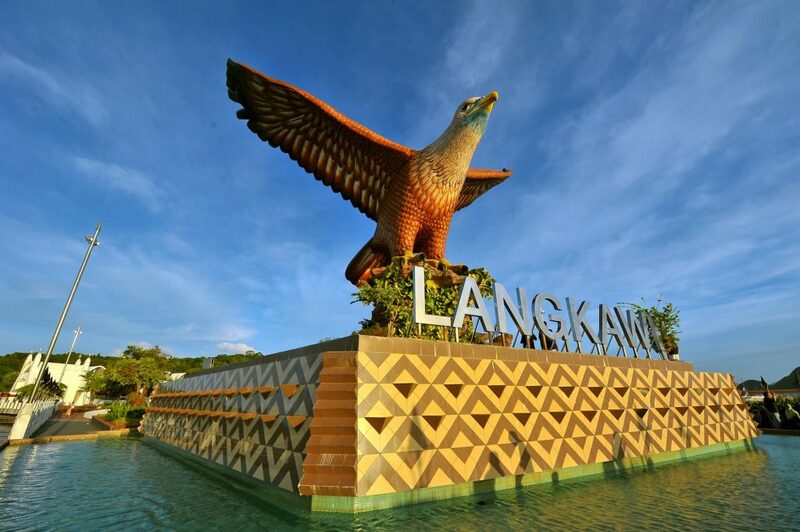 This short trip is great for families, group of friends and young travellers who are looking for a clean, warm and most importantly, budget accommodation. This tour package includes the popular El Nido Island Hopping Tours with the opportunity to see some of the pristine islands, secret lagoons and dramatic limestone cliffs on Bacuit Bay. Meet at El Nido airport before noon, then transfer to your hotel. Check in after 2.00pm. Proceed for about 45 minutes through rural countryside to the spectacular Nacpan Beach. 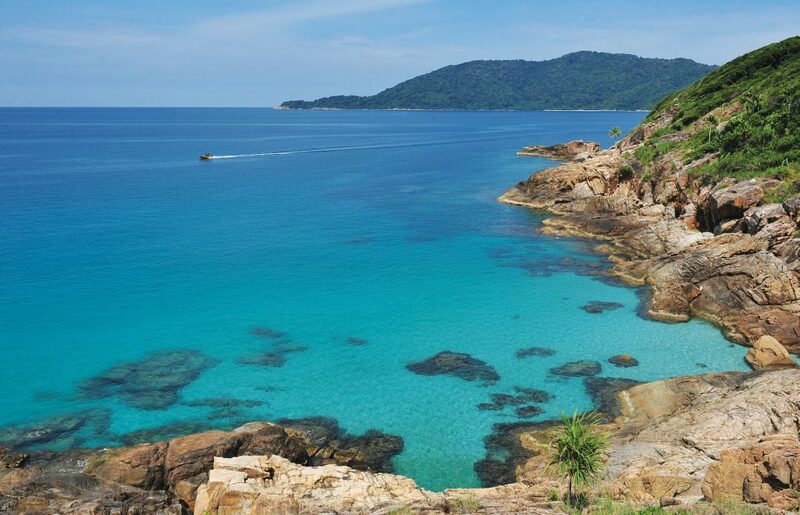 Nacpan is a four-kilometer-long unspoilt stretch of powdery golden sand and pristine azure waters. 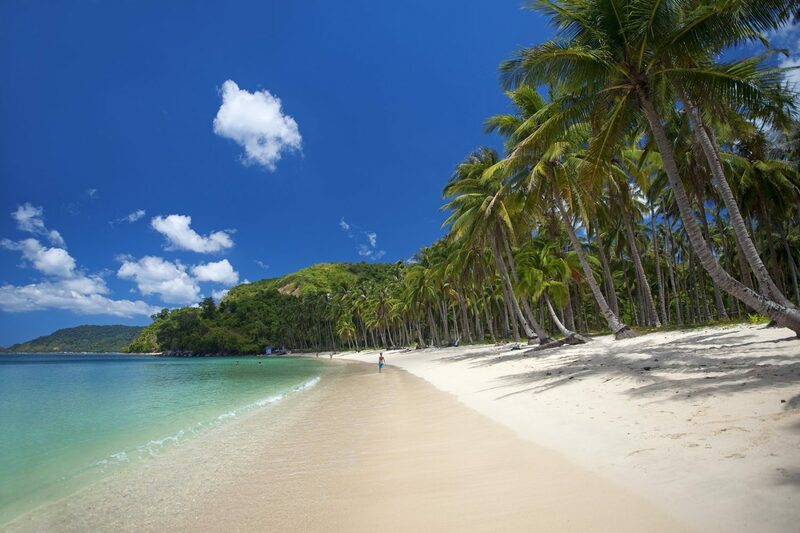 Nacpan is the perfect place to spend some leisure time – here you can enjoy sun bathing, swimming or laze under a shade of the coconut trees or trek up hill and see the magnificent sights of Calitang Twin Beach. After sunset transfer to your hotel. 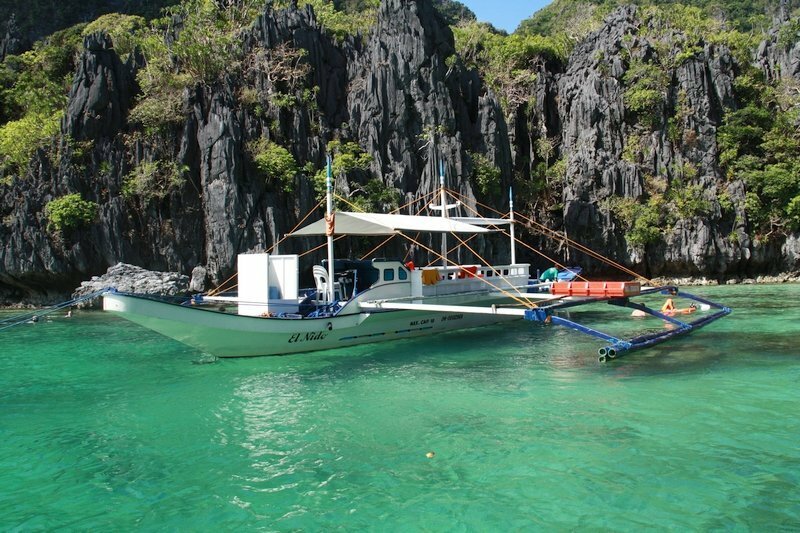 With El Nido tour A, you will visit the following islands and beaches: Miniloc Island, Big Lagoon, Small Lagoon, Secret Lagoon, 7 Commandos Beach and Shimizu Island. A picnic lunch will be served on the beach. Today proceed for another island hopping adventure. With El Nido tour B, you will visit the following islands and beaches: Pangulasian Island, Pinagbuyutan Island, Snake Island, Cathedral Cave and Codugnon Cave. Continue the exploration of Bacuit Bay. 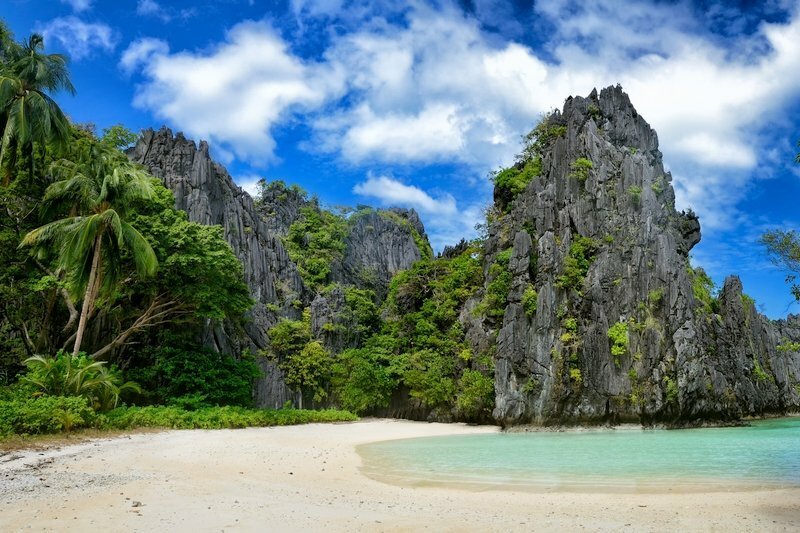 El Nido is surrounded by many beautiful islands and beaches and each one of them has something different to offer. 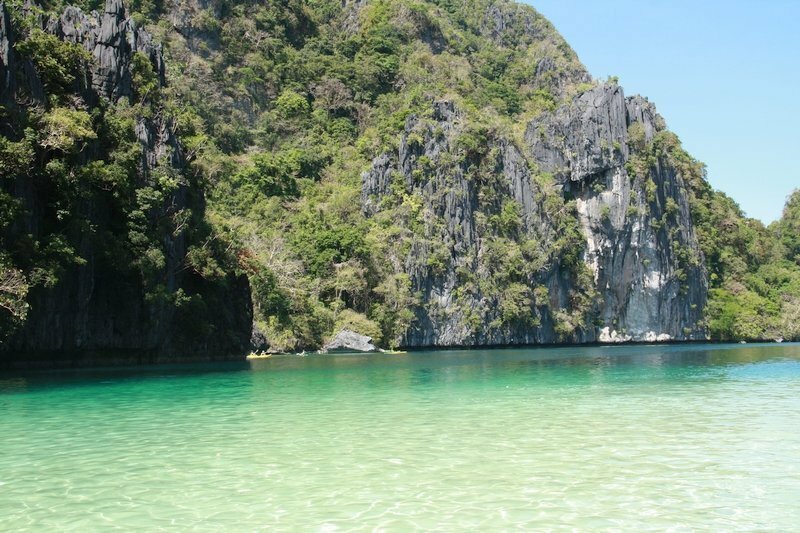 El Nido Tour C features Matinloc Island, Secret Beach, Hidden Beach Helicopter Island and Tapiutan Island. Breakfast and check out before 12.00pm. Free at leisure until transfer to El Nido Lio airport for your outbound flight.